Note: Cured for 3 days, ProX is our hardest finish and therefore more resistant to dents and carries an increased 45-day warranty. 31" 31.5" 32" 32.5" 33" 33.5" 34" 34.5"
I acknowledge that once my order has been placed it cannot be changed or cancelled, and that Marucci will not engrave any Big League player names; trademarked words, phrases, or logos; NCAA licensed marks other than those currently offered; or anything else deemed inappropriate. Hit for average? Hit for power? The Marucci CUTCH22 Custom Pro wood bat allows you to control both with authority. Inspired by Marucci partner Andrew McCutchen, this wood baseball bat features a thick tapered knob and handle to balance out the wrath of a large, explosive barrel. The best wood bat i have ever swung i am 12 years old and was playing on a field that is about 380ft. and hit the fence twice in a tournament. My son loves the pop on this bat, very durable. The Marucci Cutch22 is the perfect bat. 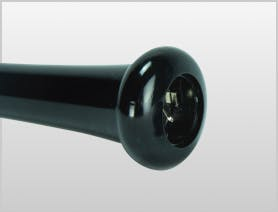 Weighted perfectly with a large barrel and flared knob makes swinging it and making solid contact easy. Bat came printed wrong with no ink dot on a pro maple bat. Customer service refused to fix the problem. Won't buy again. If I didn't want a bat to my specifications I wouldn't have paid more for a customer pro. My favorite Marucci bat. Colors were grey and red for my team. Love the color way. Always used marucci because of there designs and the quality of the wood. What is a Smart-Ready Knob? Marucci’s Smart Bat technology allows Diamond Kinetics’ SwingTracker sensor to be securely fitted inside of the actual knob of a Custom Pro Model bat. By selecting Smart-Ready knob, you’re authorizing Marucci’s wood production team to carve out part of the knob and install a dual-locking mechanism to firmly hold your SwingTracker sensor in place, allowing for the most accurate data possible. 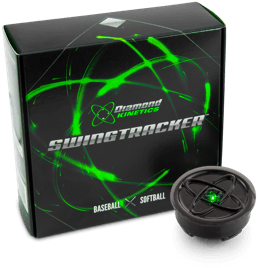 The Diamond Kinetics SwingTracker sensor captures your most precise swing data using 11 different metrics in four core swing categories: speed, power, quickness, and control, then sends it to the SwingTracker app through a paired iOS device via Bluetooth. View metrics in easy-to-read graphics and charts or sync with a unique 3D image or video of your swing.